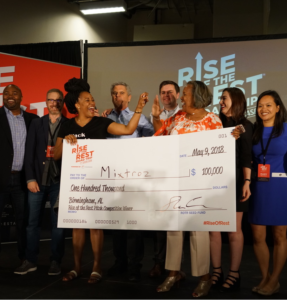 The May 9 stop of the Rise of the Rest bus tour in Birmingham wrapped up with a $100,000 pitch competition for local technology startups, held at Sloss Furnaces National Historic Landmark. Earlier in the day, the tour visited the Birmingham Civil Rights Institute, MAKEbhm, Innovation Depot and Pack Health. 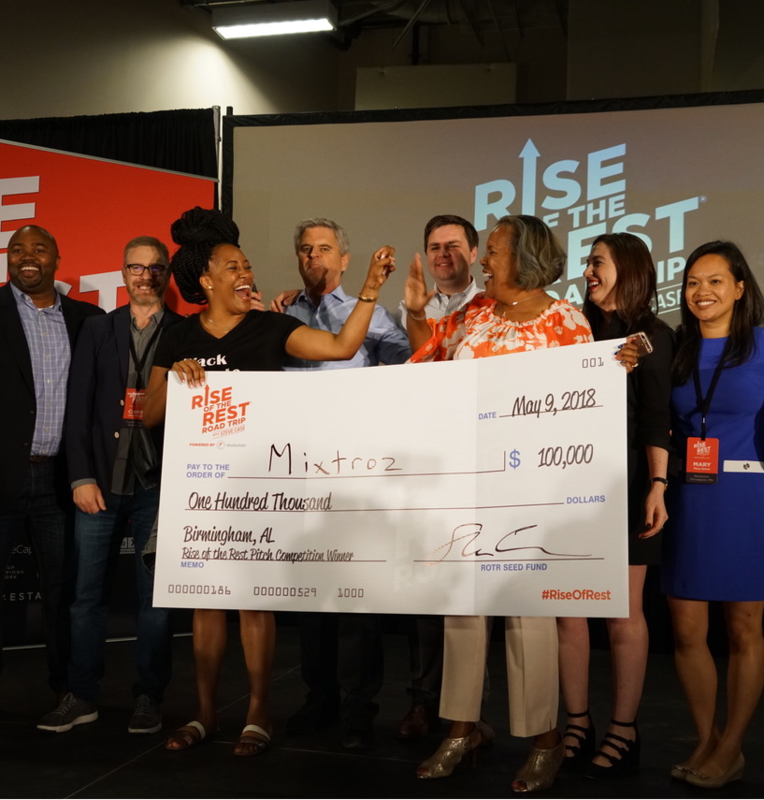 The $100,000 prize went to Mixtroz, a company that developed an application that makes business networking experiences more productive and valuable. Founded by the mother-and-daughter team of Kerry Schrader and Ashlee Ammons, Mixtroz is a recent graduate of the Velocity business accelerator program at Innovation Depot. During a moderated discussion prior to the pitch competition, the bus tour’s leader called Sloss Furnaces, a former iron manufacturing facility that operated from 1882 until 1971, a fitting location for an event spotlighting Birmingham’s growing innovation economy. Case founded America Online, which helped usher in the Digital Age. Now, he’s the CEO of Revolution, a Washington, D.C.-based venture capital firm focused in part on promising seed stage companies located outside the established innovation hubs of Silicon Valley, New York City and Boston. 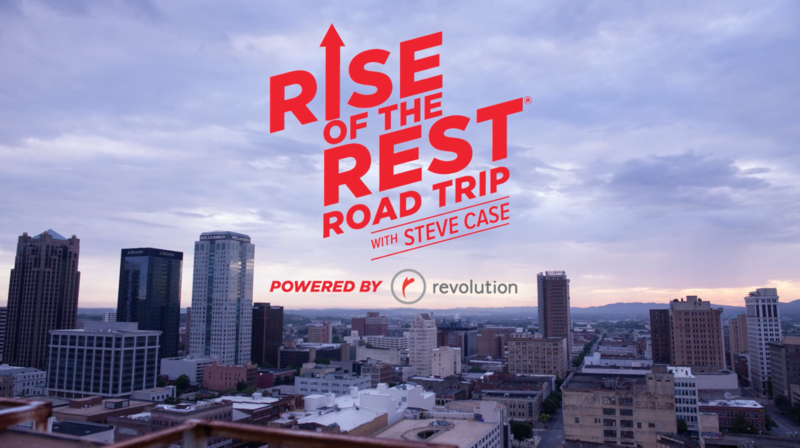 Case started the bus tours four years ago to showcase emerging innovative ecosystems and, with author and venture capitalist J.D. Vance, launched the ROTR Seed Fund last December. But even while touting Birmingham’s assets and growth potential, Case shared some cautionary observations. In 2017, he said, 90 percent of venture capital invested in the United States went to companies owned by men, while less than one percent went to black-owned businesses. Case also noted that Alabama accounted for less than one percent of venture capital investment made nationwide last year. Influencing that change is the real motivation behind the Rise of the Rest tour, now in its fifth year. The pitch competition is designed to build enthusiasm in local startup communities, serving as a catalyst for additional investments and generating more attention and resources for building local entrepreneurial ecosystems. Approximately 200 entrepreneurs applied for the Birmingham pitch competition — the most in any Rise of the Rest city to date. Eight companies were selected to make their pitches to the tour’s panel of judges, before an enthusiastic crowd of more than 300 at the Sloss visitor’s center.